HOW MUCH WATER DOES OUR CAR WASH REALLY USE? Orange Hand Car Wash takes water conservation and our environment seriously. 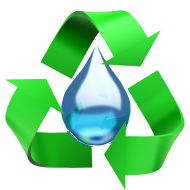 We have a fairly sophisticated water reclamation system that enables our car wash to re-use water many times over. This allows our car wash to only use fresh water when absolutely necessary (such as a final rinse/pre rinse) to ensure a clean, dry car. In other words, while many gallons of water are being used during the course of an average car wash, only 9 to 15 gallons of fresh water is introduced during any given wash cycle. That is at the very least is a 50% reduction in water usage over home washing, and very likely much more than that. Water conservation is only the beginning. Washing at home or in a parking lot introduces harmful cleaning chemicals and phosphates from road film into the storm drain that is intended to deliver rain run-off into rivers and streams thereby hurting the plants and animal life in that ecosystem. Our car wash empties excess waste into the sewer where it belongs (see diagram below). There may come a time in a potential drought crisis where home washing and parking lot fundraiser car washes are prohibited. There may even come a time when they are prohibited even when rain and water is plentiful, unless the water is properly conserved and disposed. Either way, there exists an alternative that is typically faster and even cheaper, in some cases, than washing at home. 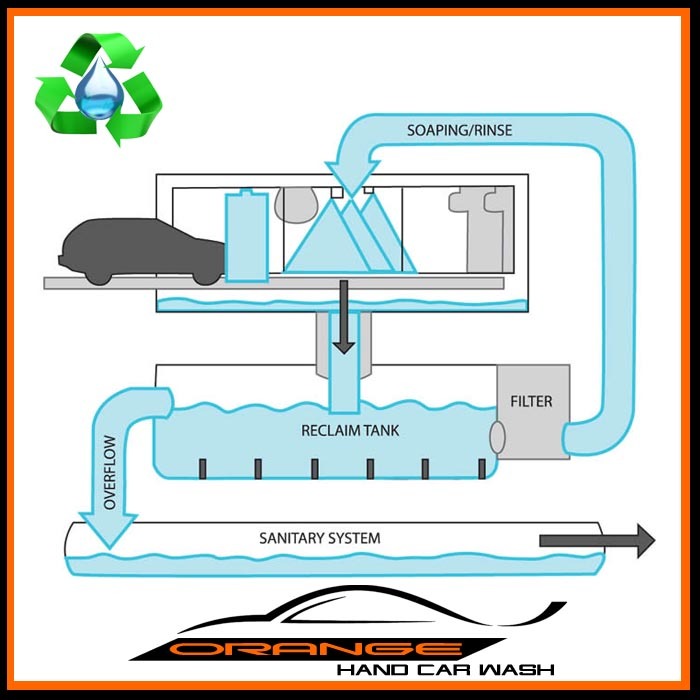 Washing the car is certainly not as essential as a toilet or shower, but if you are looking for ways to reduce water, look no further than Orange Hand Car Wash.